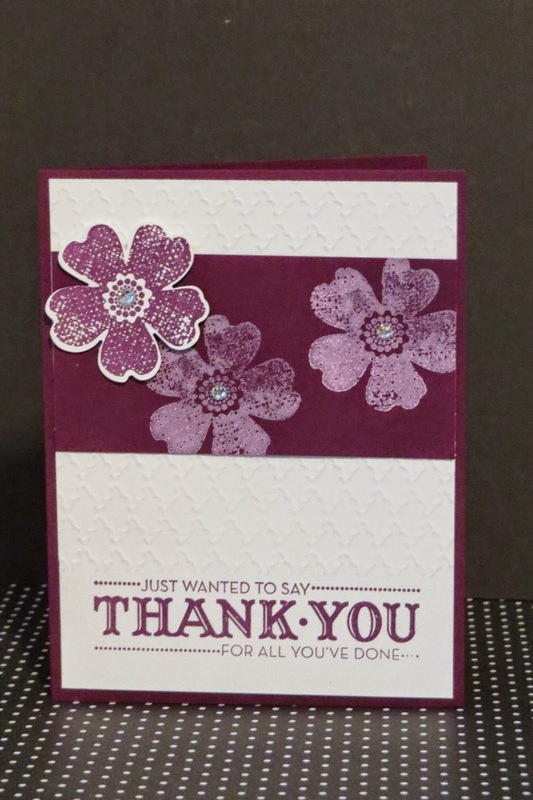 Karina's Kreations: Flower Shop Swap Card! The Pansy Punch matches the Flower Shop stamp set #139042 $21.95 and makes this cute swap card that I received! The greeting is a hostess stamp set called Let Your Hair Down. If you buy the Flower Shop stamp set and the three other punches that are on sale, you'll earn a free Sale-a-bration item.